This was a great choice of property. It is close to the beach and nicely appointed. The manager and owner are wonderful to work with, which made our vacation stress less. I highly recommend this unit and area. While 15-20 minutes from downtown Nassau, it is quiet and the sunrise is spectacular. Loved everything about it. Just got back from a 4 night stay at Dominic's property. The unit was even better than it looked in pictures. Dominic was wonderful to work with and would respond quickly to any of our emails. The unit was tastefully decorated, well stocked with anything you might need during your stay, and beautifully clean. We took advantage of the Beach Club each day, enjoying the pools, the beach loungers, the bar and lunch service. 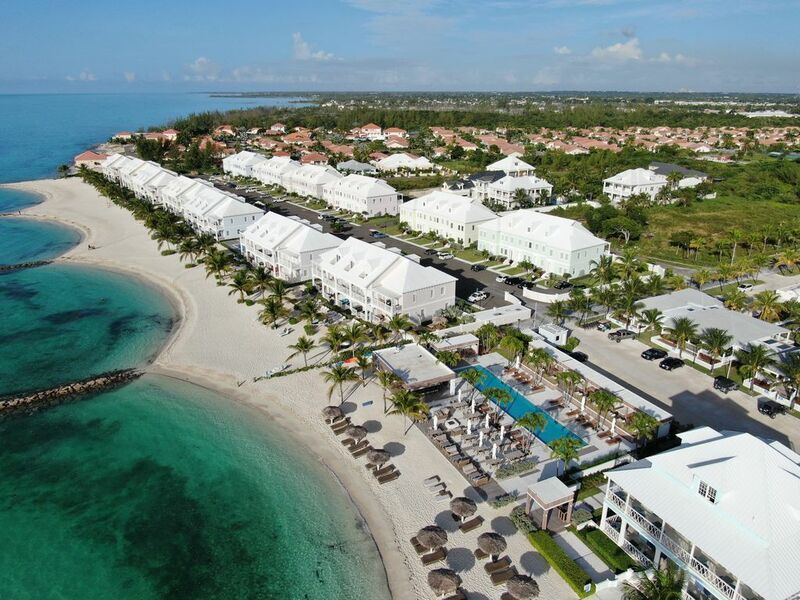 We thoroughly appreciated the quiet and relaxed atmosphere of the Palm Cay development. It was a quick 15 to 20 minute taxi ride into town where they are many good restaurants and local food huts (the fish fry) . We look forward to our next stay here!! Det er et veldig flott og trygt område. Vi likte oss fantastisk godt. Vil anbefale dette til andre. Perfect guest. Very friendly and reliable. Hope Eva and family will come back! Achtung: Über die Feiertage Weihnachten/Neujahr und Ostern beträgt die Mindestaufenthaltsdauer 1 Woche und der Preis pro Nacht 650.- Euro. Check-in Zeit ist 1500. Check-out Zeit ist 1100. Anpassungen sind eventuell nach Absprache möglich.